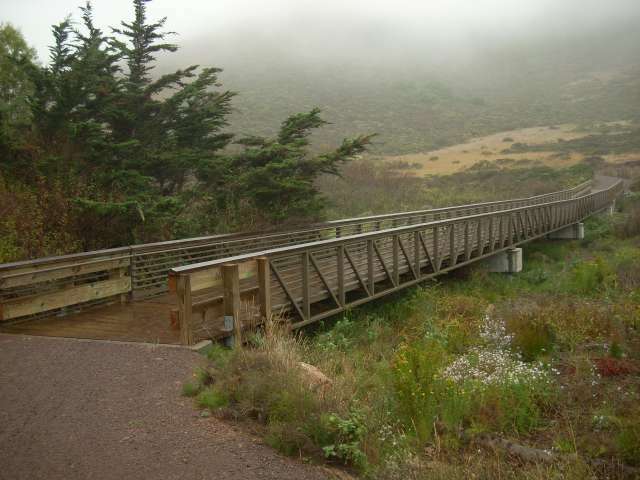 Rodeo Valley Trail Smith and Capehart Bridges | MGE Engineering, Inc.
MGE, as part of a design-built team, completed the design of two trail bridges and trail rehabilitation on the Rodeo Valley Trail located at the Marin Headlands within the Golden Gate National Recreation Area for the National Park Service. 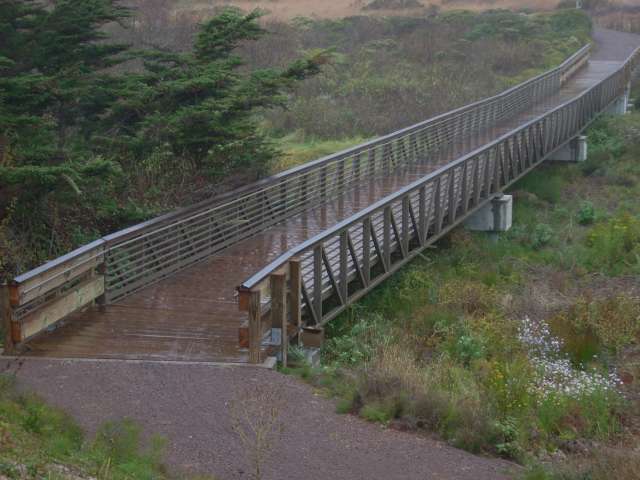 The new trail bridges consist of single-span and three-span structures comprised of prefabricated steel truss spans with timber decking. The three-span structure included timber approach boardwalks, and both structures are supported on driven concrete piles.